Hello again people! The above meshes are why you've seen so little of me for a while. 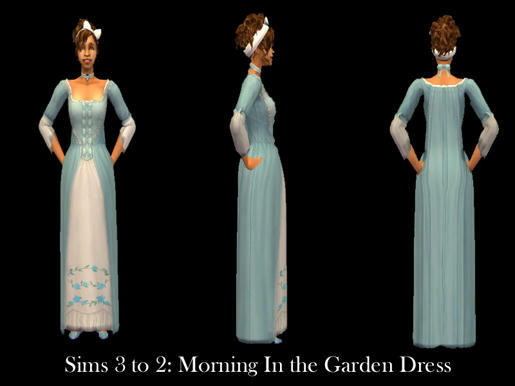 I've been wrangling MilkShape and SimPE to produce my first ever Sims 3 to 2 conversions - following Serenity-Fall's excellent clothing conversion tutorial, cursing when it went wrong/exploded, trying again... So far, this is the best I can do. I love these gowns, and I've wanted conversions of them forever - but I'm not actually sure why, as they're not actually very 18th century. They're more a high-school play version of what people vaguely think 18th century is. Ribbons? Check. Goofy ribbons and roses absolutely EVERYWHERE? Check and check. 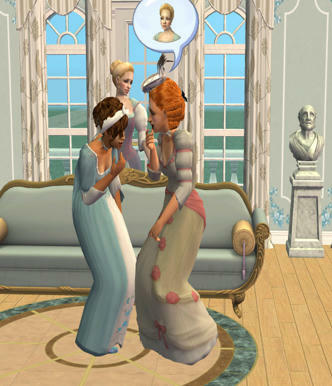 But I've converted them now, so my "Mean Girl" 18th century ladies can wear them. 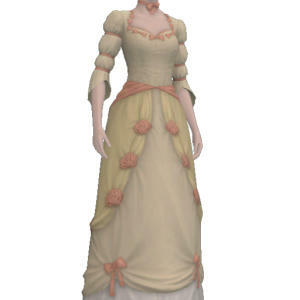 "Mon Dieu, Reinette, that gown is so fetch!" 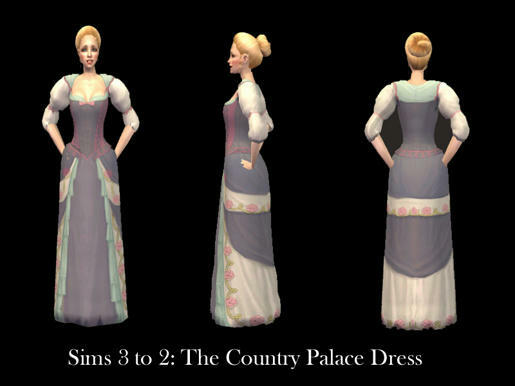 This is... well, it ain't 18th century, what with the puffy sleeves. 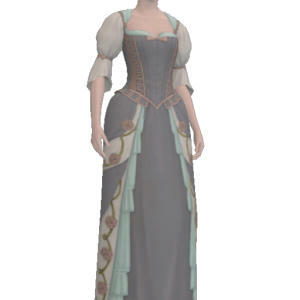 But it does look pretty darn close to a 17th century "Three Musketeers/Cavalier" style gown, and there certainly isn't enough clothing for Simmies there. Converted for the recolour possibilities. Comes with fat and pregnancy morphs. Categorised as Casual and Formal. Probably my favourite, although the skirts seriously pain me. 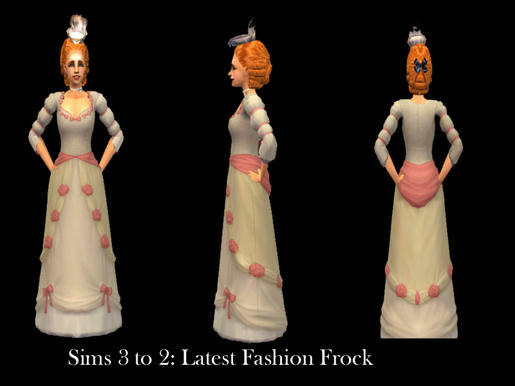 The EA guys went to all the trouble to do a sack-back 18th century dress, and then made it straight up and straight down like a cheap fancy-dress costume. Bleh. 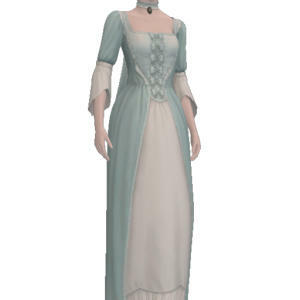 I did discover it looks lovely as an 18th century dressing gown for my ladies to have breakfast in, so I've categorised this one as Nightwear as well as Casual and Formal. Again, come with fat and pregnancy morphs. Credit goes to the awesome SerenityFall over at Livejournal for the tutorial, and the very helpful davinaojoeda here at PBK for advice and support through meshing fails. Gorgeous!! Thank you so much.